Do you want legit Blu-ray copying? Consumers who want to digitise their HD movie collection will be able to do so if the latest Advanced Access Content System for the format gets the green light. The AACS houses a Managed Copy facility and was released last week for Blu-ray, but its makers are still waiting for a green light for it to be used by the industry. If the system is accepted, then manufacturers will be able to roll out legitimate hardware recorders and relevant software as of next year. The Managed Copy facility will essentially allow a consumer to copy their Blu-ray content to hard drive once only. This is meant to be for purely archiving means. There are a few hoops to jump through, which will mean that Blu-ray devices built to perform to perform a Managed Copy will have to contact the AACS centre, ensuring only one recording is ever made. These devices are due to ship as of next year. There may not be that many available, however, as the Managed Copy feature will not be part of the Blu-ray standard so adding it will be entirely optional. The idea of legal copying is a contentious one. Real DVD is still wrangling with the courts after it brought similar software to the DVD market. 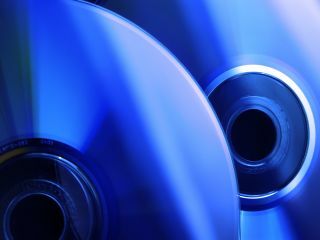 The outcome of the court case could determine how popular legal Blu-ray recording will be among manufacturers.